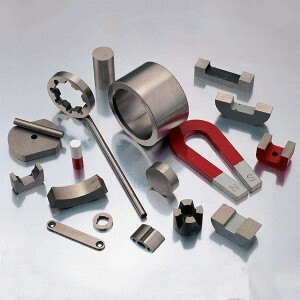 SmCo Magnets are second generation of rare earth permanent magnets, is a high-capacity permanent magnet made from Sm,Co,Fe and other trace metal elements. Besides a max working temperature of 300℃, it has remarkable resistance against corrosion and oxidation. Hence, it may be used in aeronautic and space industries aomng others. 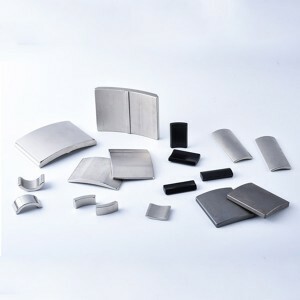 Manufactures SmCo5 and Sm2Co17 magnets in various shapes. Many clients require grades YXG28, YXG30, YXG32， SmCo28, SmCo30，SmCo32, etc. We achieve dimensional size and tolerance by cutting or grinding with super abrasives. Samarium Cobalt (SmCo) cannot be ground with conventional drilling, turning or milling processes, and must be machined before they are magnetized. 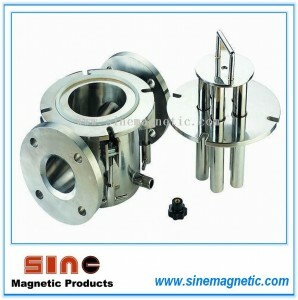 Additionally, large or complex assemblies are usually magnetized prior to assembly. Standard tolerances for Samarium Cobalt magnets are +/-.005” for ground dimensions. 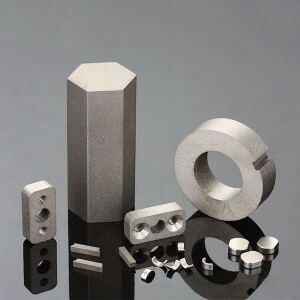 We stocks SmCo magnets in block, ring and disc form in a variety of sizes and grades, and we are fully equipped to produce the size and tolerance that you require. 1:5 offers 16 MGOe (energy product) to 22 MGOe and is made up of approximately 50% samarium and 50% cobalt. The 1:5 series has a maximum recommended operating temperature of 250°C. SmCo 1:5 magnets require lower field strengths than 2:17 materials to magnetize. In some instances, 1:15 material may be magnetized with multiple poles, provided that a magnetizing fixture is available. 2:17 offers 24 MGOe to 32 MGOe and is composed of about 25% samarium, 5% copper, 18% iron, 2% hafnium or zirconium, with the remainder being cobalt. The 2:17 series of has a maximum operating temperature of 350°C. Special grades of 2:17 are available which can operate to even higher temperatures. SmCo 2:17 requires extremely high magnetizing fields, and multiple pole magnetization is not possible. Samarium cobalt materials are commonly processed under un-magnetized circumstances, with diamond grind wheel and wet fine grinding, which is necessary. Because of low ignition temperature, samarium cobalt must not be dry completely. Just a small spark or static electricity in production can easily trigger a fire, with extremely high temperature, which is hard to control. Samarium cobalt magnets are brittle. Please kindly protect your eyes, fingers and body when dealing with them. 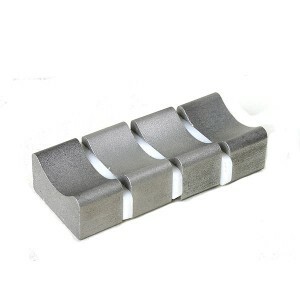 Neodymium permanent magnet is more powerful than SmCo magnet in magnetic force. (BH)Max of sintered NdFeB is up to 53MGOe, while the (BH) Max of SmCo material is 32MGOe. 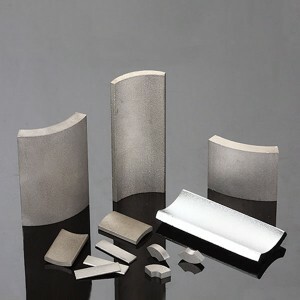 SmCo material is stronger in resisting demagnetization than NdFeb material. NdFeB is not superior as SmCo in high temperature resistance. The maximum working temperature of NdFeB is 200 ℃ and that of SmCo is up to 350℃. NdFeB magnets are not so good in resisting oxidation and corrosion. 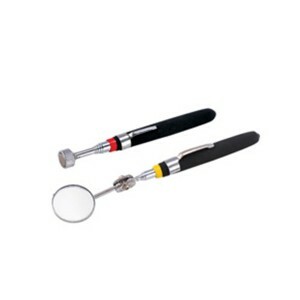 Generally they have to be protected by plating or even vacuum packing. Common types of coating include zinc, nickel, epoxy and others. SmCo magnets won’t be rusting without plating. NdFeb and SmCo are both fragile material, so they cannot be manufactured by ordinary cutting processing. 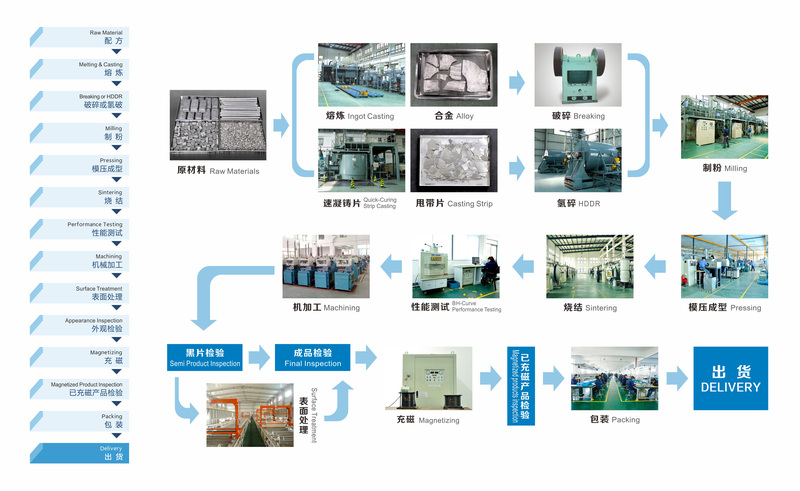 The general processing method is wire-electrode cutting and diamond wheel cutting. So the producible shapes of these magnets are limited. Too complicated shapes are not workable. Relatively speaking, SmCo material is more fragile and more easily break. 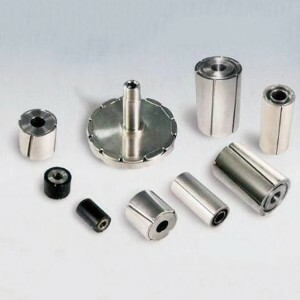 Therefore, please be very careful in assembling and using SmCo magnets. 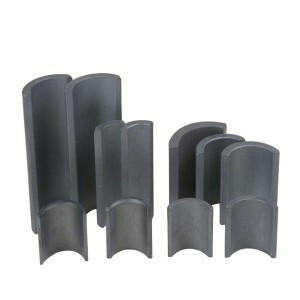 A few years ago, the price of SmCo magnets was twice or even more than that of NdFeB magnets. In recent years, the price of NdFeB has risen greatly due to Country’s restrictive measures in rare-earth mining. 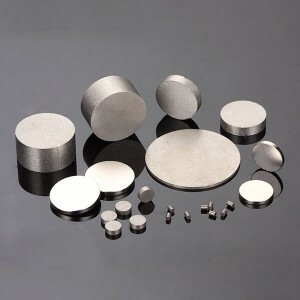 Basically, common NdFeB magnets are cheaper than samarium cobalt.